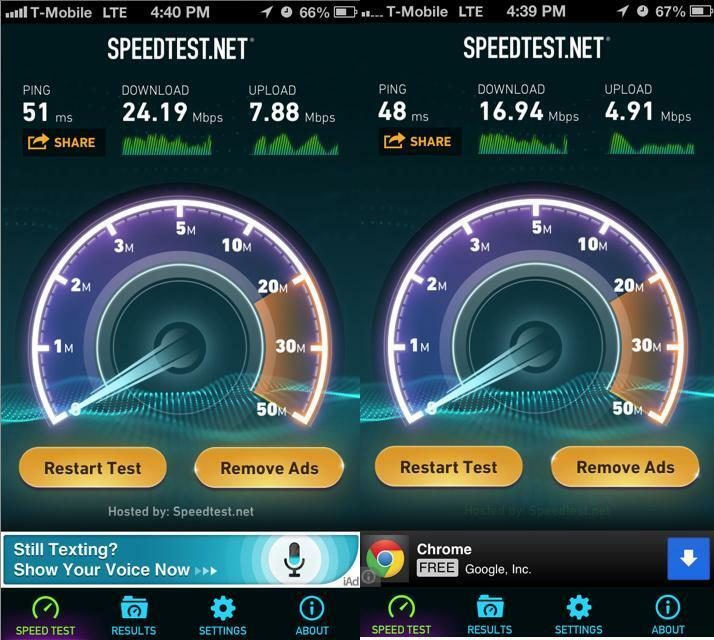 With T-Mobile’s LTE market already live in seven cities and plenty of factory unlocked or AT&T unlocked iPhone 5s already in the wild, enabling LTE is as easy as being jailbroken. If you aren’t jailbroken on your iPhone 5, not to worry as an official method for supporting LTE should come from T-Mobile or Apple very soon. A quick reminder that these steps will not work with iPhone 5 models unlocked from Verizon. We’ve got a complete look at why that is in yesterdays iPhone 5 model breakdown. Now all that’s left is following the instructions below thanks to Lei Mobile and hopefully residing in one of the seven live LTE cities. If not, who knows — maybe you’ll find some pockets of LTE in your area as work continues. 14. Now tap “done” at the top and tap the house icon at the bottom then tap Library, then tap Carrier Bundle.bundle (the one in blue), and then tap edit at the top again and tap the clipboard icon. Tap “paste” and it will auto inject the carrier files into the carrier folder overwriting the other files. 15. After the files have been placed, exit iFile and restart iPhone. After the iPhone restarts, allow it to acquire signal and display the T-Mobile logo then go to where you edit the APN settings (Settings –>General–>Cellular) Once that is done, enable the LTE toggle and you’re good to go. Is it a little odd for the ping time to be higher with full bars versus the one with only 2 bars? On a mobile network with any sort of load on it, 3ms of latency difference is well within statistical error. Nothing to wonder about. Most likely only for the revamped A1428 launching April 12th. We should know more soon if anything is updated for the current models when they push the LTE update. Was there an anticipated date for the OTA to enable LTE for exisiting Iphone5s on T-Mobile? I heard on or around April 12th. When did the Iphone 5s come out? I heard it wasn’t out until June. That’s the plural, iPhone 5S would be a new model. What if there were more than one iPhone 5S? If you had more than one One which one One of the Ones would you pick? we are updating our guide with newer files right now. visit our site to stay updated. Let me know if you make any changes, I’ll update our post. So far our guide we have posted on our site now is the most current version. We are working on iPad support next. Awesome .. Works like a charm. 20 down and 12 up. Ok . So it says LTE. But I was only able to use for 3 hours. Now it say “cannot access cellular data network”. So I had turn off the LTE toggle. I updated it and I use to get “3G” in my area. Now I get “4G” and not “LTE” symbol is that right? Will this also work for a 4s or just a 5? The 4s does not have LTE. So there really is not any point other than to enable tethering. But I think that is enable by default on T-Mobile. Thanks so much. My friend used this and is getting “4G” signal instead of “3G” and is getting faster speeds. Will be interesting to see how long it takes to get an official WiFi Calling app from Tmobile on their iPhone5. I have a verizon factoty unlock iphone 5 and works very good!!! How did you get LTE on verizon phone? Odd, didn’t work for me. Not going to worry about it too much, as I test drove T-Mobile today with a pre-paid SIM and I just don’t feel the network is up to par in my area. Phone signal is good, but EDGE in far too many places, and only 3G otherwise…not even HSPA+. Perhaps in the future, and maybe with a phone that has the AWS bands enabled. Okay, I’d really like to know how to undo this…my APN is really screwed up, I can’t undo the changes, and my phone is saying I’m not subscribed to a data plan on AT&T. What I really need are the original carrier bundle files. Any help? Today I recieved the updated OS for Tmobiles network and what a disappointment! My Apple purchased unlocked phone settings were changed by the update and when I phone the Customer Service, they advised that there were receiving many calls regarding this update! Why is it so hard to properly test a product before you push it out to the users? has anybody tried tris trick outside USA? i mean does it work only particulary with TMobile, or it just enables LTE for other networks also (for example in Europe)? I was able to make it work in my jailbroken phone. I downloaded the speedtest in Cydia just to make sure it works.